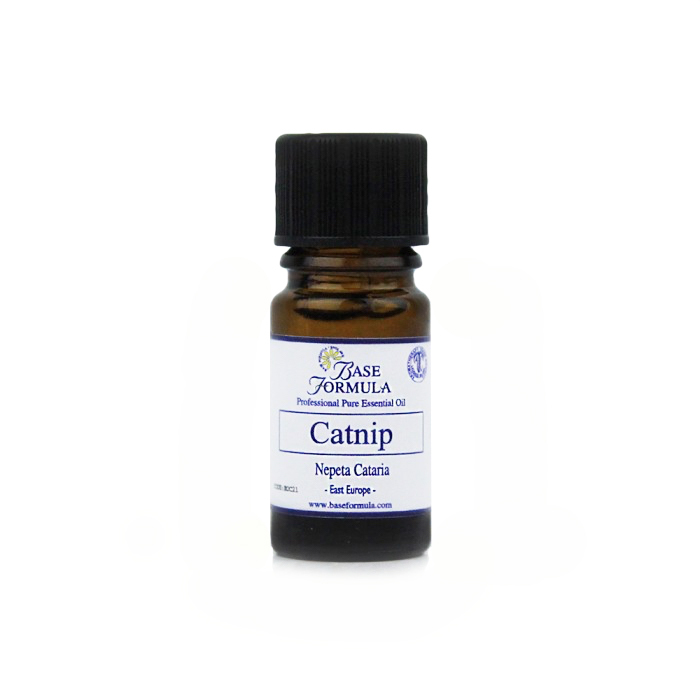 Catnip essential oil has a rich, herbaceous, mild floral aroma. It can be used to help relieve aches, pains, a feverish temperature and to soothe unsettled skin. Catnip (sometimes known as catmint), is a herbal plant belonging to the mint family. Although native to Europe it now grows in many countries where it is considered a weed! The plant can grow as high as 3 feet and produces clusters of small white, purple-spotted flowers. Catnip essential oil is steam-distilled from the flowering tops. Catnip essential oil has been revered since medieval times for its sedative properties. It has also historically been used as an insect repellent. In modern aromatherapy this therapeutic oil can be used to relieve aches and pains, to calm a feverish temperature and to help soothe unsettled skin. Avoid during pregnancy. Use with caution on sensitive skin. Catnip essential oil can be used as an insect repellent and for its antibacterial properties (The active constituent in catnip, nepetalactone, has been found to be more effective than the insect repellent diethyl-meta-toluamide (DEET). Catnip can be helpful for stress and depression. Catnip oil can help to relieve aches and pains, head tension, chills and cramps. It is an effective liver tonic, offering a gentle detoxification and it can also be helpful for digestive complaints and menstrual problems.